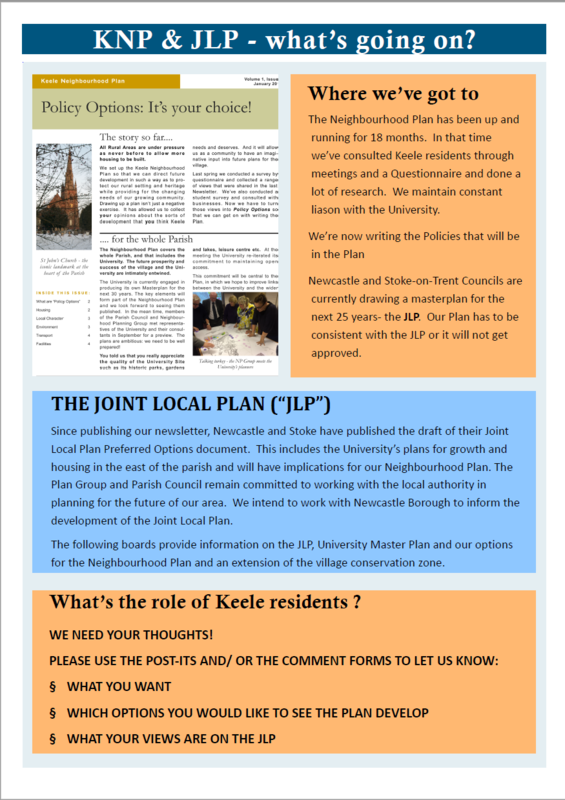 Keele Parish Council and the Neighbourhood Plan Group recognise the importance of Keele University to the growth and prosperity of Newcastle under Lyme and support its aspirations for growth in the coming decades. 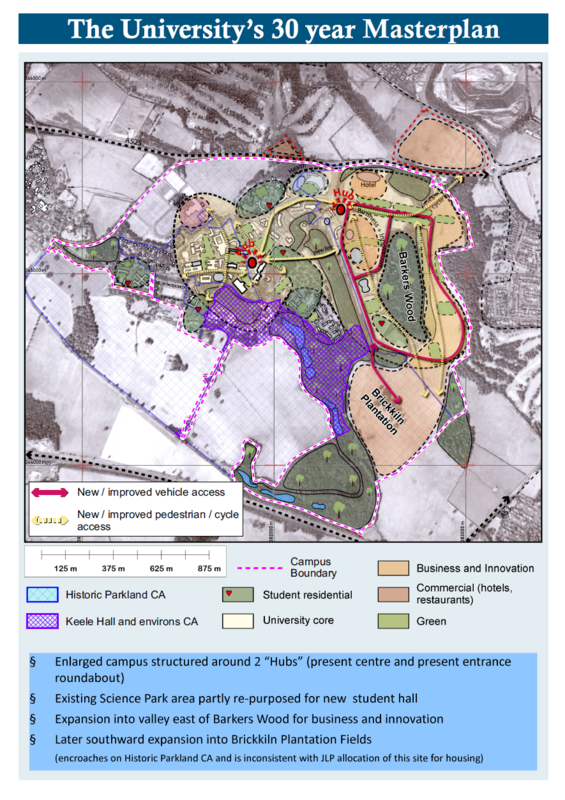 The University has a unique setting in a rural location and prides itself of its sustainability agenda. 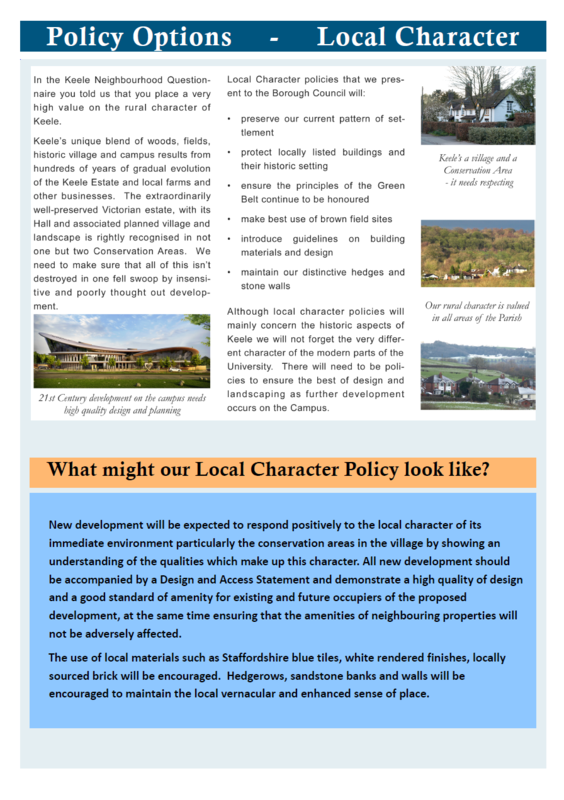 As such it is sensitive to the impact of development on the green belt and the environment generally. 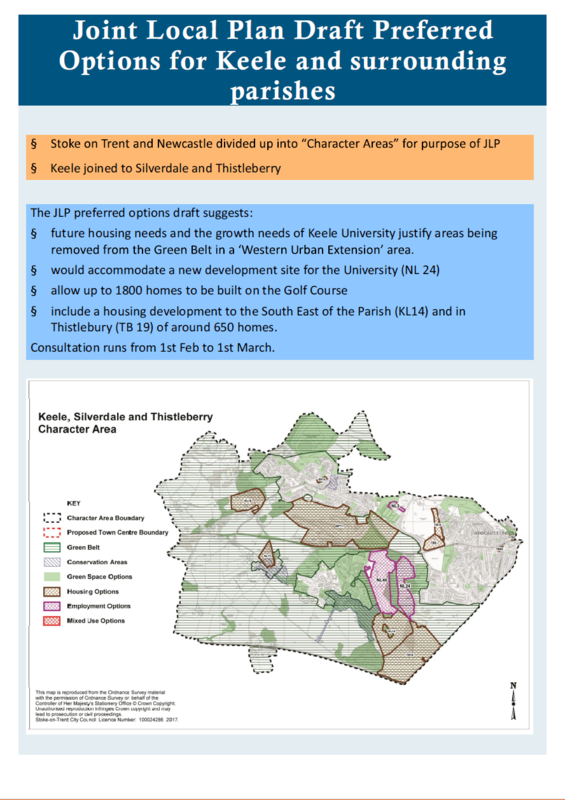 The Neighbourhood Plan Group have been kept informed of the developing Masterplan and broadly support the University’s proposal for a new development site (NL 24 on the JLP). 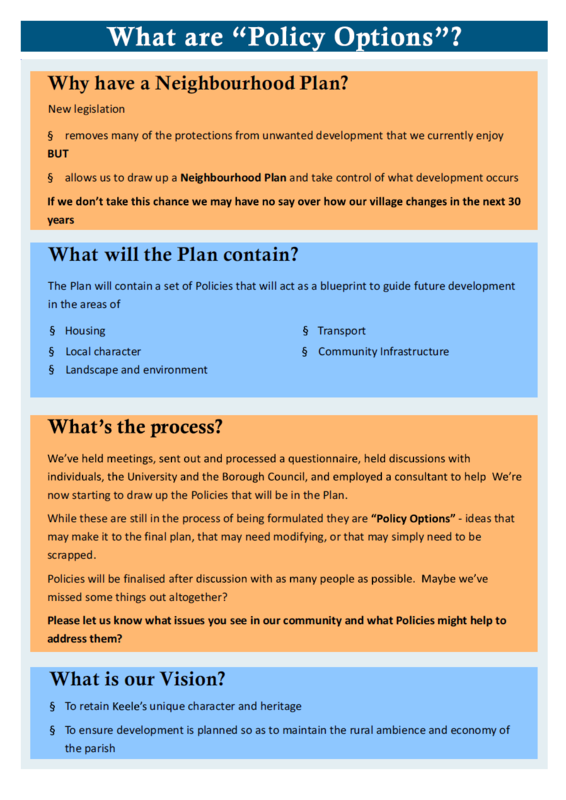 With regard to Joint Local Plan preferred options, the detail of any such proposals will be critical to their effectiveness and acceptability. 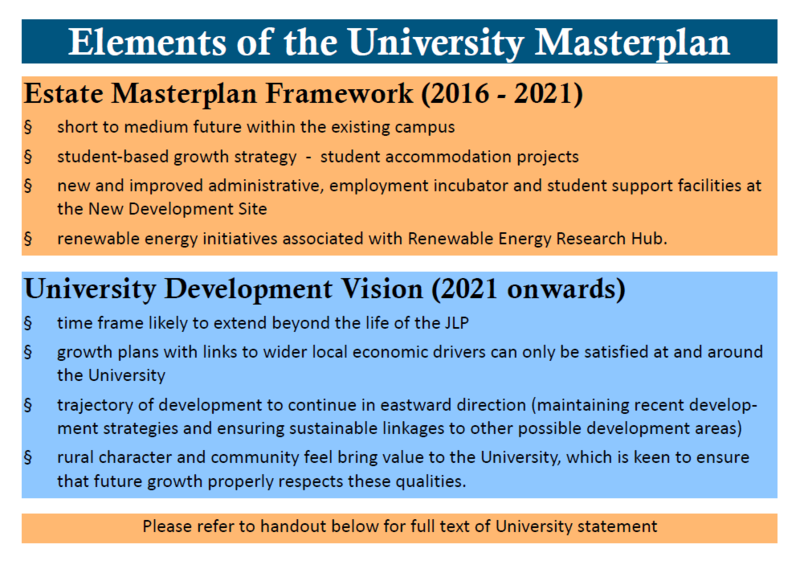 The same will be true for the Universities developing Masterplan. 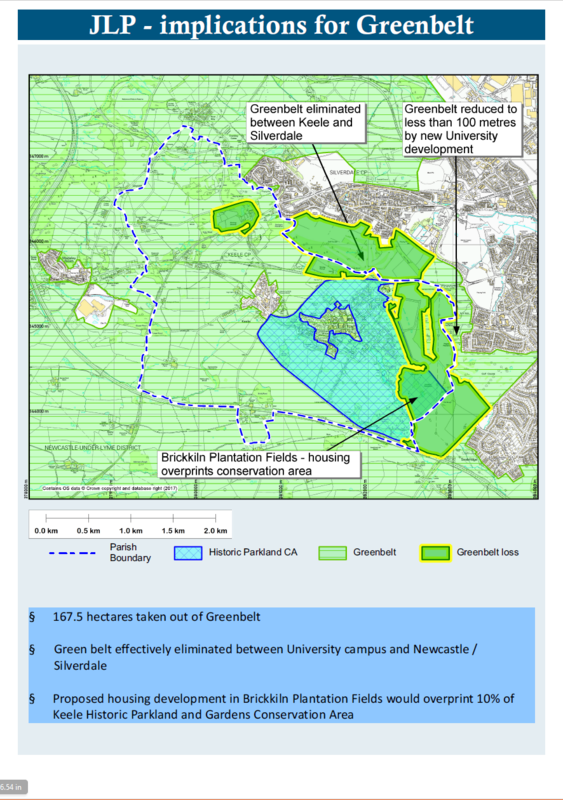 The Parish Council recognises the principle function of the Green Belt in separating the communities of Keele from urban areas such as Newcastle and Silverdale. 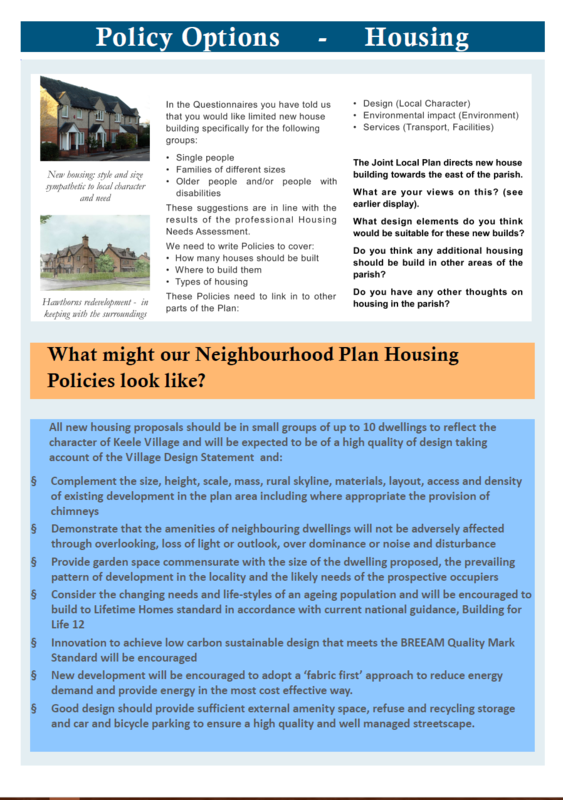 It is our policy that any further business or housing development should maintain this separation and be proportionate to the real needs of the parish and wider borough. Equally, any additional development needs to consider the necessary infra-structure to support it, particularly with respect to transport. This has informed the capacity analysis (previous display) with regard to the local housing proposals in the JLP preferred options draft. 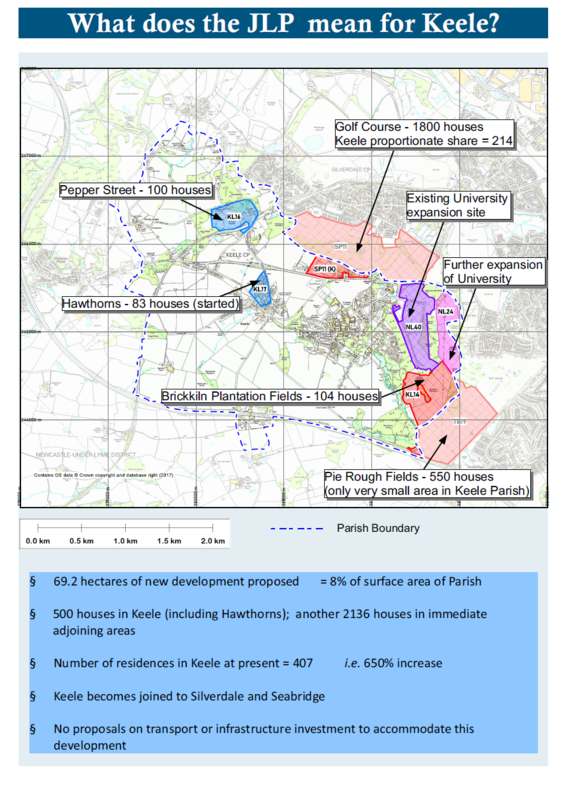 We believe the current proposals in the draft to be damaging to the Green Belt’s purpose and unsustainable but that some development in these areas may be possible. We are disappointed that the sustainability of the proposals in the JLP is not discussed in any detail. 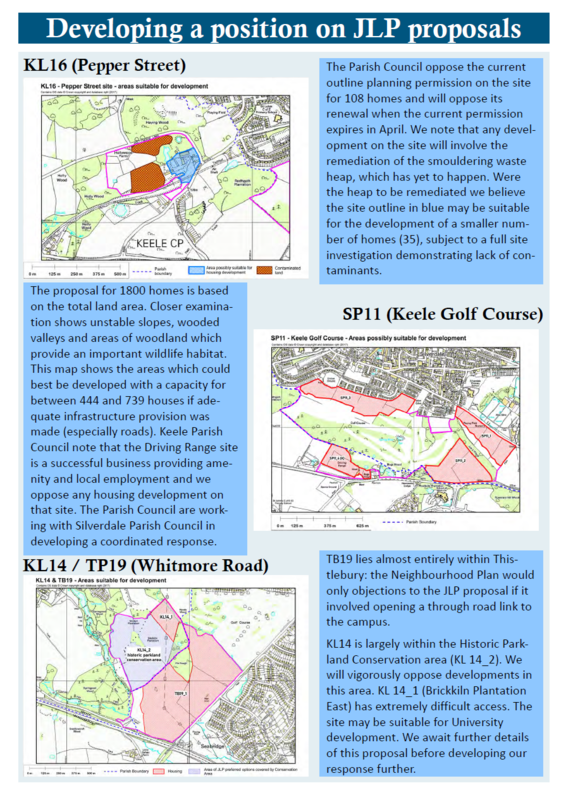 We are also opposed to the terminology used in referring to development in the Keele area i.e. 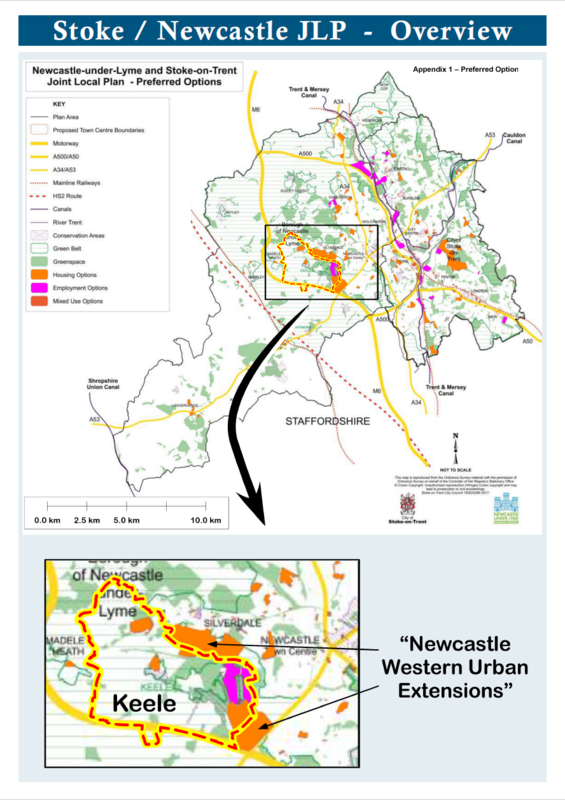 “Western Urban Extension” which leaves the door open for further urban development and suggests a whole scale removal of the Green Belt from this area. We note that the housing projections for the preferred option in the JLP are far above that required by central Government and thus are a matter for discussion. 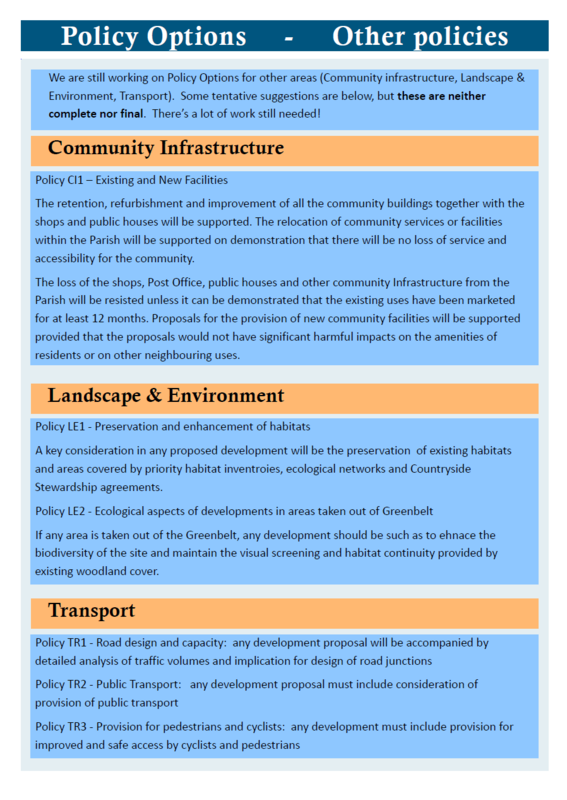 The Parish Council remain committed to work with all its partners to ensure a prosperous future for the area and to protect our heritage and environment. 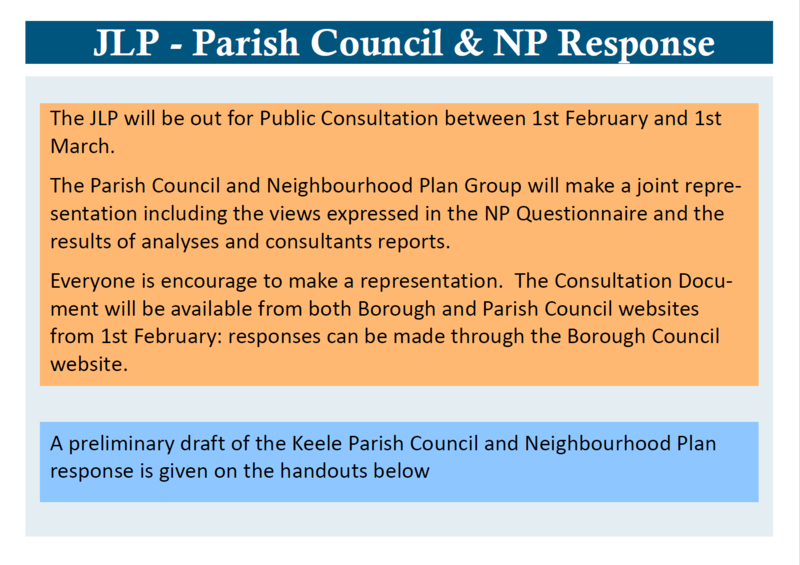 The JLP preferred option consultation is from the 1st of February to 1st March.